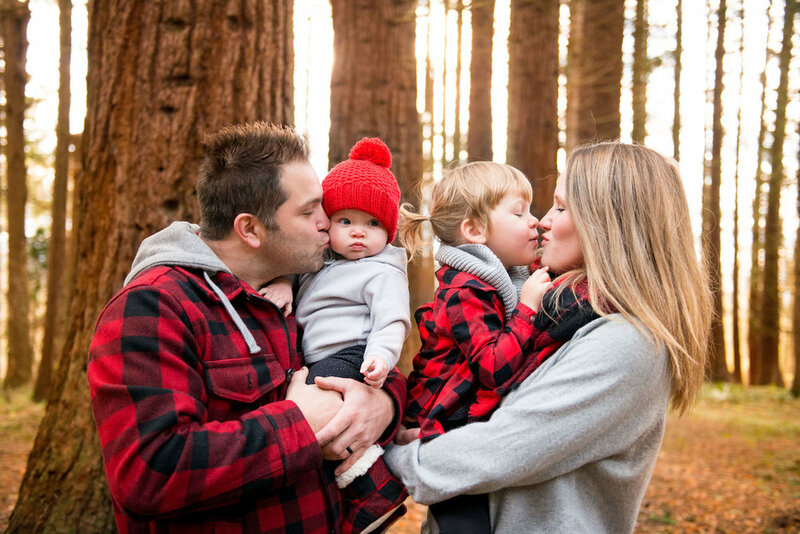 Planning a family session in the middle of winter in Vancouver can be a challenge. This season our weather was unpredictable, the weather networks rarely ever got it right. This shoot was extra special because the forecast called for pouring rain. Instead we got soft sunlight amongst the redwood trees of Redwood Park in Surrey, BC. Despite the chill in the air and the threat of rain we braved it together & this family mini session turned out so sweet.